Heart of Mary, united to the Heart of Jesus, etc. 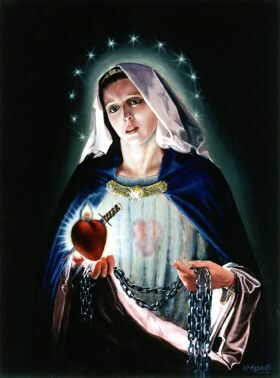 O most merciful God, Who, for the salvation of sinners and the refuge of the miserable, wast pleased that the Most Pure Heart of Mary should be most like in charity and pity to the Divine Heart of Thy Son, Jesus Christ, grant that we who commemorate this sweet and loving Heart may, by the merits and intercession of the same Blessed Virgin, merit to be found like to the Heart of Jesus, through the same Christ Our Lord. R. Amen. This litany was composed by John Henry (Cardinal) Newman shortly after he converted to Catholicism in 1845.